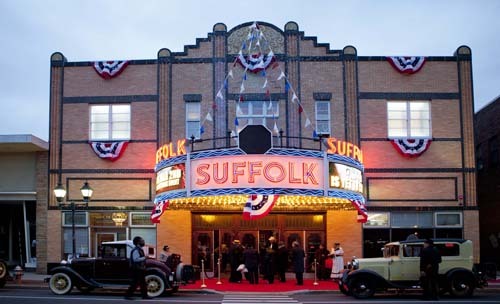 KATHARINE SCHROEDER FILE PHOTO | The historic Suffolk Theater in downtown Riverhead. The News-Review reported live from tonight’s political debates between six candidates seeking three open seats on the Riverhead Town Board, including the supervisor seat. The first debate featured incumbent Republican Town council candidates John Dunleavy and Jodi Giglio against Democratic council challengers Bill Bianchi and Millie Thomas. That was followed by incumbent Republican Supervisor Sean Walter facing off against Democratic challenger Angela DeVito.